PanARMENIAN.Net - Armenia, the Silicon Valley of the former Soviet Union, has morphed into a thriving tech startup hub, attracting global recognition, Gev Balyan, the founder of ucraft.com, a fast and easy website builder, said in an article on The Next Web. "Armenia was once the center of IT innovation for the USSR. A turbulent history has stifled the economy, but things are starting to look up for the Caucasus republic. A highly-skilled, post-soviet engineering workforce and a Diaspora of advocates, combined with new government initiatives, are igniting renewed growth in Armenia’s IT sector," Balyan says. The Armenian tech industry is growing at an annual rate of 20 percent. Annual tech revenues from some 400 IT companies make up $475 million and by 2018, it is estimated this industry will be the dominant sector driving new wealth for the economy. Online gaming and sports betting software company BetConstruct launched in Yerevan in 2003 and today has offices worldwide. Many of the largest IT companies operating in Armenia, such as Microsoft, Google and Oracle, are internationally headquartered with development teams based in the country. Tech giants like, Intel, Synopsys, D-Link and “virtualization giant” VMWare have also joined the global names mentioned above. Recent legislation has made founding, operating and growing a tech startup in Armenia much simpler. After lobbying from the Union of Information Technology Enterprises (UITE), Armenian headquartered startups, tech centers, incubators and accelerations with fewer than 30 employees, now benefit from tax privileges. 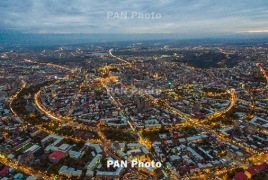 The Armenian capital city of Yerevan is also home to two free economic zones (FEZ) where businesses that meet certain startup requirements can operate without paying VAT, profit, property and income tax, also escaping export customs duty charges. One of these is found in the area of the RAO Mars Closed Joint-Stock Company and Yerevan Research Institute of Mathematical Machines, and is designed to enable, manufacture and export of new technologies. Yerevan-based Triada Studio is the creator of puzzle app Shadowmatic, the winner of the prestigious Apple Design Award and App Store Best of 2015. Triada Studio launched in 1993 as a computer graphics and animation studio. Cofounder and CEO Ara Aghamyan described the “huge intellectual potential” in Armenia. Aghamyan claims the biggest challenge that the Armenian tech-scene faces today is the exodus of talent, as a large number of startups end up moving to the U.S. to raise capital and reach greater audiences. “We can only overcome this by creating an ecosystem that will not only make people stay in the country, but also attract great minds from all over the world,” he told me. In April, photo-editing app PicsArt raised an additional $20M in VC, bringing its total funding to $45M and enabling the Armenia-born startup to grow its presence in China and Japan. In 2015, PicsArt’s CEO Hovhannes Avoyan relocated to join the company’s Chief Revenue Officer in San Francisco, helping to further solidify PicsArt’s recognition in the U.S. tech scene. PicsArt was later that year included on Forbes’s list of ”Hottest Startups of 2015”. Influencers in the tech world are making efforts to strengthen ties between Armenia and the US. In March Triada Studios’ Aghamyan wrote to President Obama explaining the tech community’s role in developing US-Armenian commerce. He drew attention to the issue of double taxation that deters foreign investment and restricts growth for businesses that are based in Armenia. Shadowmatic is not the first to take a stand. PicsArt, Microsoft, FedEX, NASDAQ, Marriott, Grant Thornton and more have all gone on record in support of better economic relations to empower growth within the country. Co-founder of Inet Technologies, Sam Simonian and his wife Sylva founded TUMO Center for Creative Technologies; a free digital learning center in Yerevan, that provides classes for around 5,000 12-18 year olds working with new technologies. "As with any emerging industry Armenia’s startup scene struggles with limited cash flow and a need to respond quickly to changing tech. New businesses such as Armenia’s first virtual networking and startup accelerator, HIVE and the country’s first technology-focused VC firm, Granatus Ventures, help startups to get off the ground. However, in order to compete on a larger-scale, these businesses need to attract larger audiences and global investment," the article says. "But the wheels are in motion, today it is far easier than ever before. As more business leaders draw attention to both the barriers that Armenia faces, but also the potential of this emerging industry, we can expect continued growth from this ancient center of innovation."